Add the zest and juice of the orange along with the nutmeg and stir into the onions and mushrooms. Add the brandy and cook for 2 min, then add your chicken livers to your pan. Fry them until they are browned all over, a couple of minutes max - not for too long or they will be overdone. Season with salt and pepper and add your mixture to a food processor then blend until smooth. Pass your mixture through a sieve to make the pâté extra smooth. 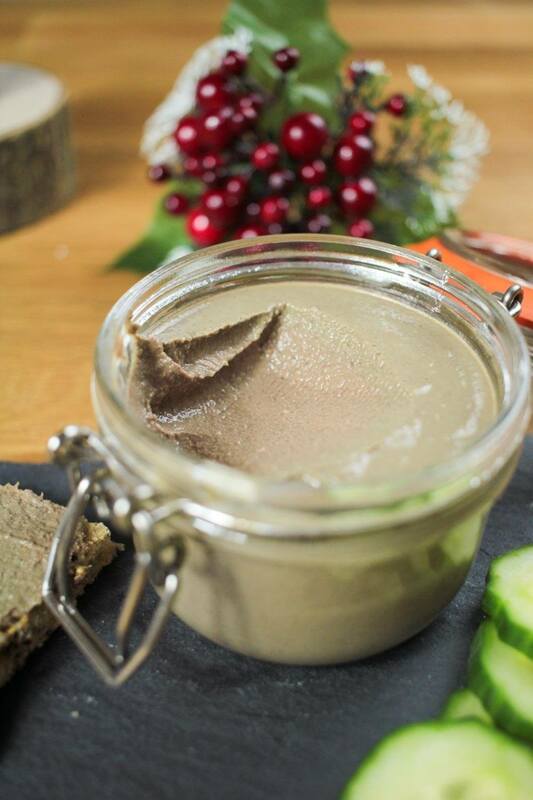 Spoon the pâté into jars and put in the fridge for at least 2-3 hours to set. Store in the fridge and use with in 3 days. Serve on nice crusty bread or toast. Enjoy!